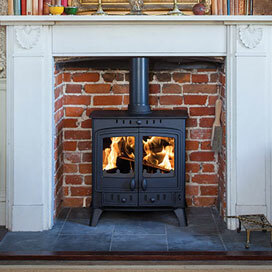 Our Timeless Classic stoves encompasses one or two door models and small stoves for very cosy living areas. The traditionally styled Chelsea is available with a single firechamber door design. The Duo has a range of heat output options and classic two door styling. The Puffin and Heron models have a classic look and are ideal where space is limited, such as shepherds huts.